First I showed you furniture made of airplane parts. Today, it's cars. 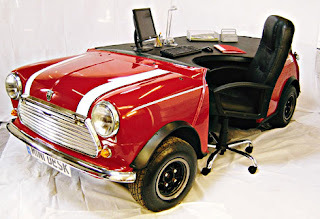 The folks over at UK company Mini Statement have created the hot-ticket item on every Mini lover's list - a Mini Desk. Apparently, fans of the British automobile have decided personalizing the Cooper with stripes and designs isn't enough. I guess the only way to show your TRUE, undevoted love to the Mini is to buy a $4500 desk. While the concept of a car as a workspace is pretty neat, I'm skeptical as to how practicle it is. Do you really want to pop the hood every time you need to grab a file? And why, out of all the cars, pick the Mini. If you're going to make a desk out of a car, why not go for something more powerful and dominating - not words I'd use to descripe the Cooper? Just think of how much fear you could instill on your coworks if you were looking down on them from the high and mighty seat of a Hummer desk. On other news, make sure to check out the Addison Gallery of American Art's exhibit "Birth of Cool: California Art, Design and Culture at Midcentury." 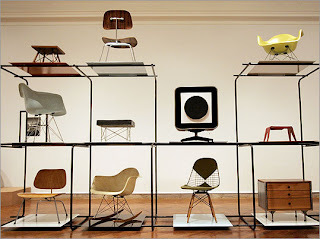 If you're a Mid-century love like me, this exhibit is sure to please. 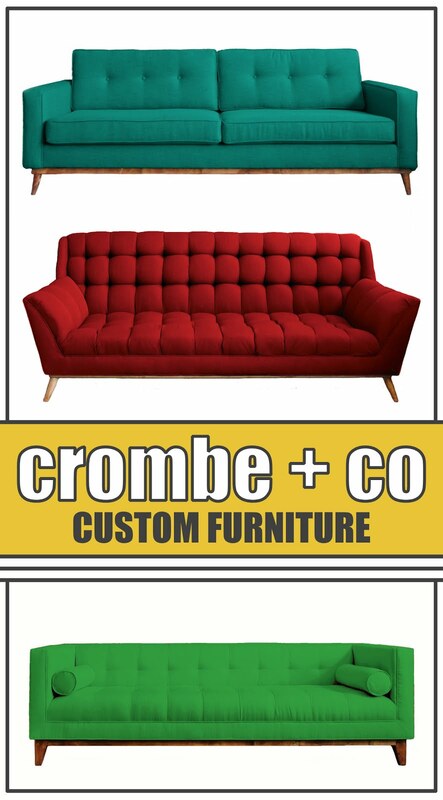 There will be funiture, art, music, design, and film.